The number of used machines offered is one of the most important KPIs of TradeMachines. We are pleased to announce that the number of used machines offered on our website has increased fivefold, thus enabling us to reach another important milestone. 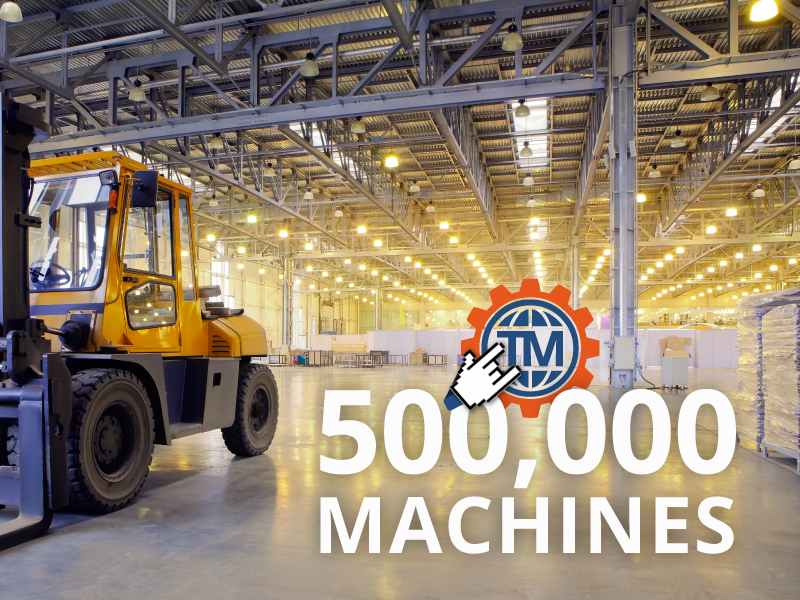 TradeMachines is now offering users the largest range of used machines in Europe, that is, over 500,000 used machines. This comprehensive overview of the used machine market is unparalleled in Europe, and it makes us an important point of contact for people interested in used machines around the globe. The expansion of our product range will also have a positive effect on our website's organic traffic. Indeed, users can find even more TradeMachines product pages on Google now. Through the most recent expansion of our product range, TradeMachines users may also find machines on our website now that they could not find before. In this context, we are expecting an effect on our website's organic traffic as early as this year. In addition to Europe's highest visibility on Google, which makes us the most important and most used website for purchasers of used machines, TradeMachines may now also convince users through the largest product range. Being able to offer half a million used machines is a huge success for us! But this is just an intermediate step in our company development. In January 2016, we plan to take the next major step in terms of our product range by listing 1 million used machines on our platform, thus offering the world's largest product range. To ensure an optimum overview of the market, we are currently improving the data quality of the next 500,000 offers. The continuous expansion of our product range will keep positioning TradeMachines as the central point of contact for all people interested in used machines.